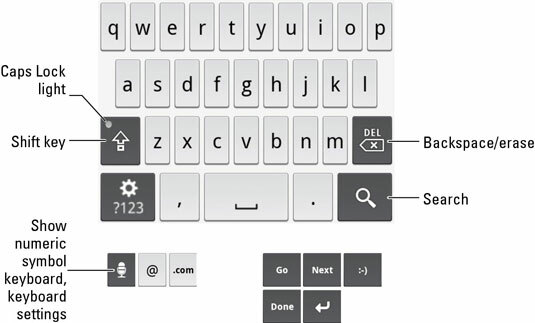 Standard: The alphabetic version of the onscreen keyboard. 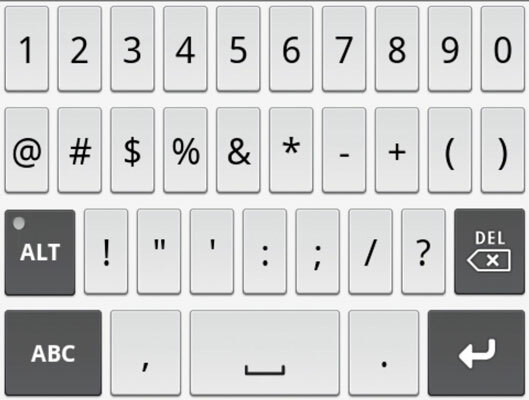 The keys A through Z (lowercase) appear, plus a Shift/Caps Lock key, Delete key, comma, space, and period. The Search key changes its look, depending on the application. Number keys: Touch the ?123 key to see the number keys, as well as the standard punctuation symbols that share those keys on a computer keyboard. 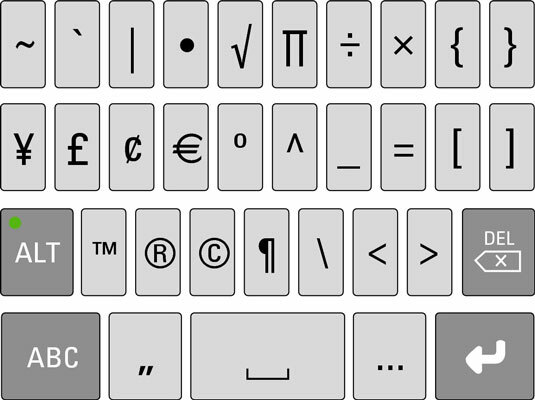 Symbols: Pressing the Alt key on the number-and-symbol keyboard displays special symbols. When the Alt key has been pressed, its light turns on. the Droid X to find something. the next field on the touch screen. the keyboard to go away. Voice Input button: When voice input is available as an alternative to typing text. The @ symbol key and a key that generates the text .com: These keys usually show up when you’re typing an e-mail address.